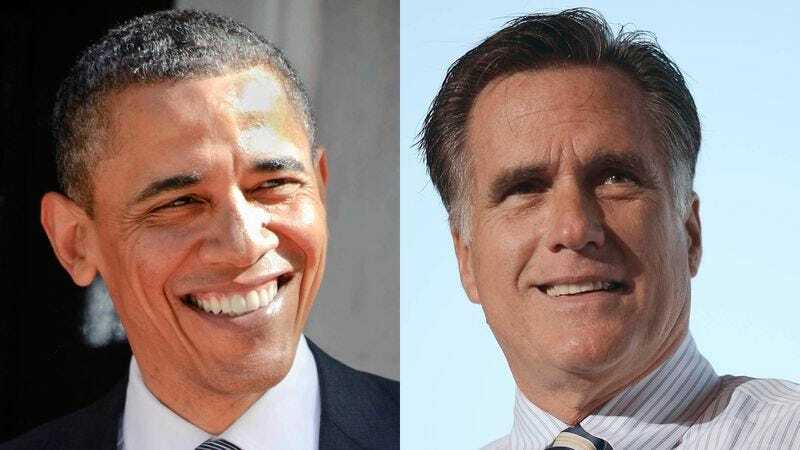 AKRON, OH—In a rare display of bipartisanship just one day before the presidential election, President Barack Obama and Republican challenger Mitt Romney came together Monday to urge Americans to purchase The Onion Book Of Known Knowledge. “This nation is divided, it's been through hell, and The Onion Book Of Known Knowledge is quite frankly the only thing that can heal its wounds and make it great again,” Romney and Obama said in a joint statement before appearing at a rally in which the two candidates joined hands and raised their own copies of the book high into the air. “Tomorrow, we are urging all of you to skip voting, go to any place books are sold, and buy this compendium of vital information. It’s not only the right thing for you, it’s the right thing for America.” Obama and Romney then spent hours reading the book—which can be purchased online right this very second—out loud to each other as the crowd roared in approval.